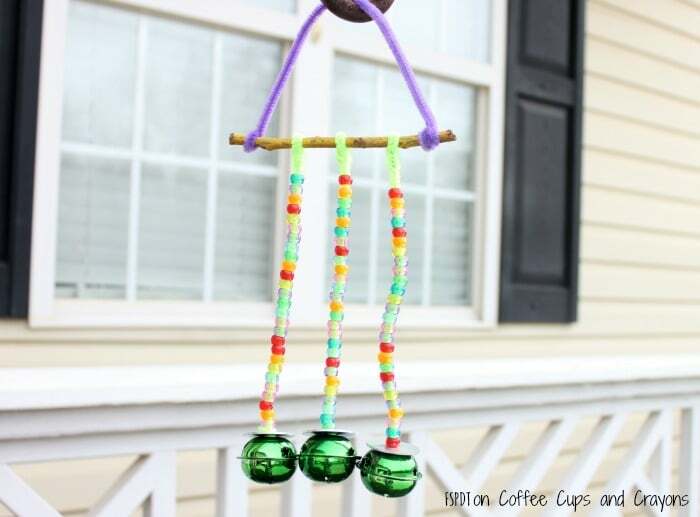 If you love the idea of natural music playing in your garden then you are going to love these simple wind chime crafts that you can make with your kids! Did you know that wind chimes have been around since Ancient Roman times when they were hung to ward off evil spirits? Today we’re more likely to hang one outside just because of the beautiful sounds they make when the wind catches them! 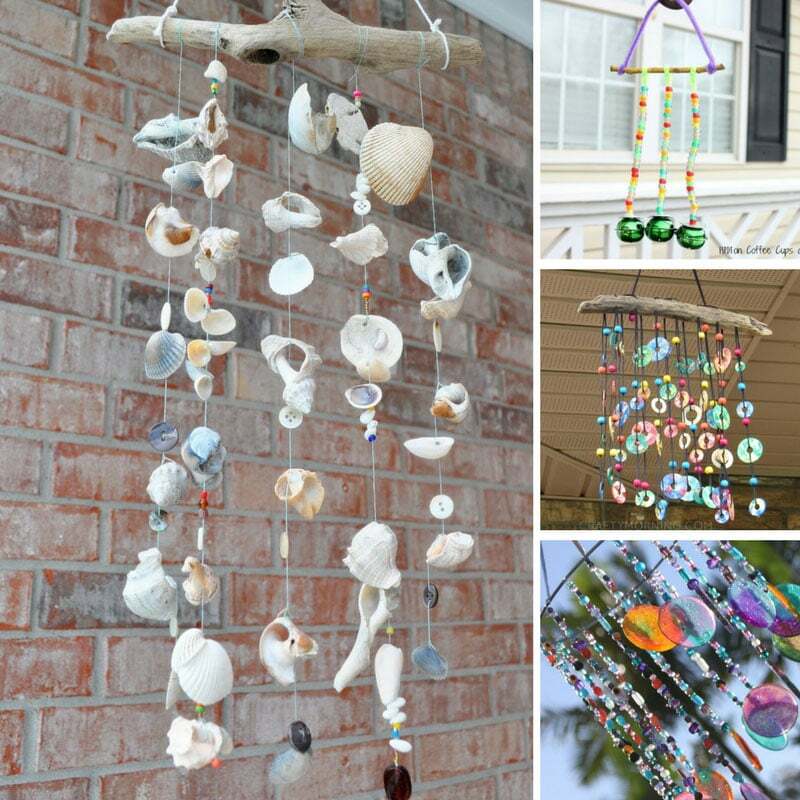 Today I’ve collected up 10 wind chime crafts for kids of all ages to enjoy. You should already have everything you need in your kid’s craft box but you might need to get outside and collect some of the nature materials. 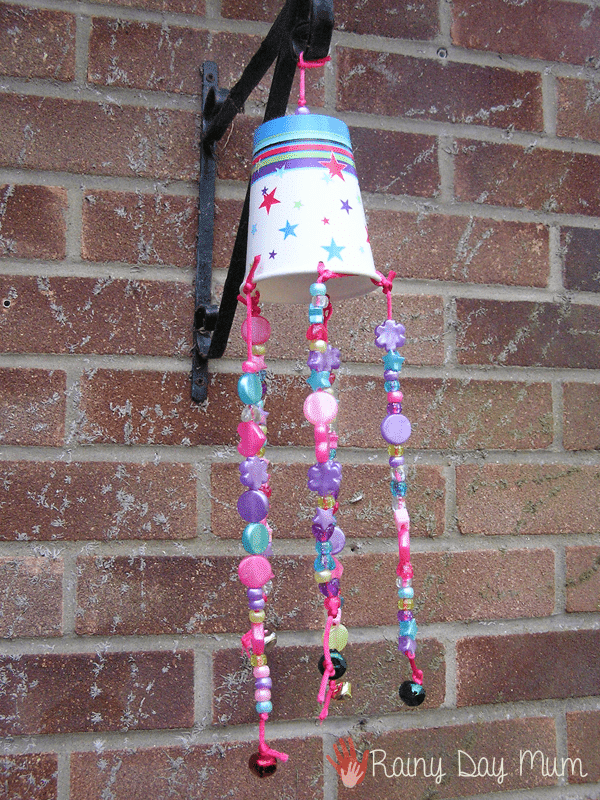 In this project your child will make a simple wind chime that makes a lovely fairy sound. This craft is the perfect way for toddlers and preschoolers to practice their threading skills. 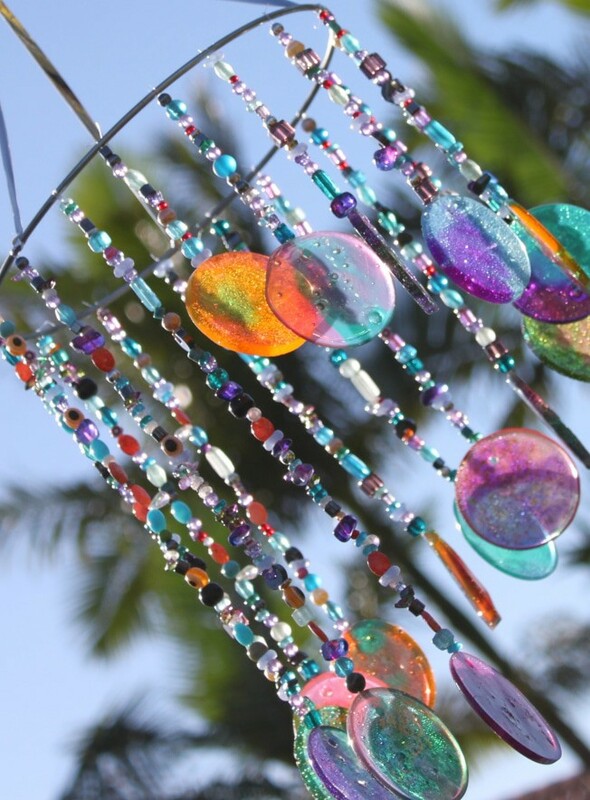 How beautiful is this wind chime? You could hang it in your window and use it as a sun catcher too! This wind chime is quite beautiful don’t you think? And I bet it makes a beautiful sound when all those washers tinkle together in the wind. This wind chime is just beautiful don’t you think? 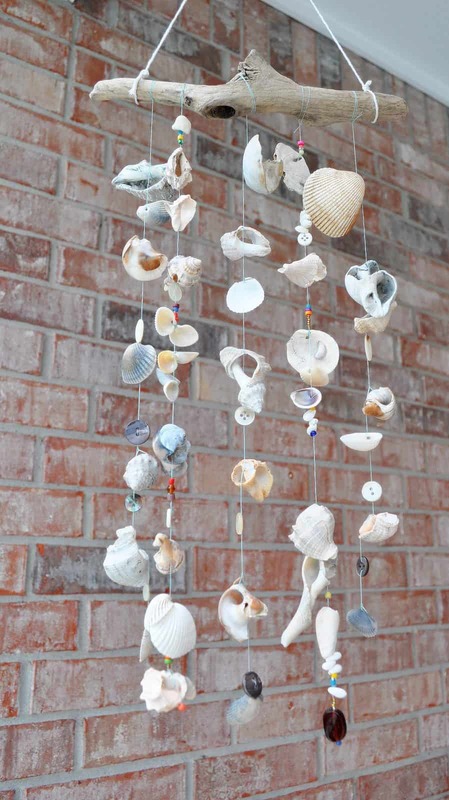 And the perfect project to turn that bucketful of shells your children collected last summer into something musical. 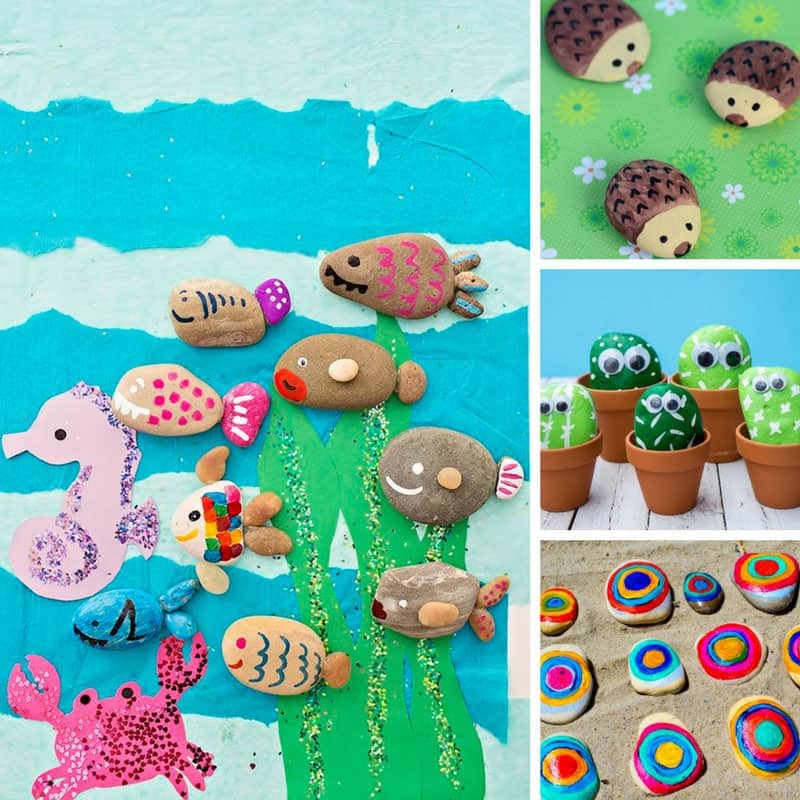 Related crafts: While you’re here don’t miss our other collection of easy seashell crafts for kids. 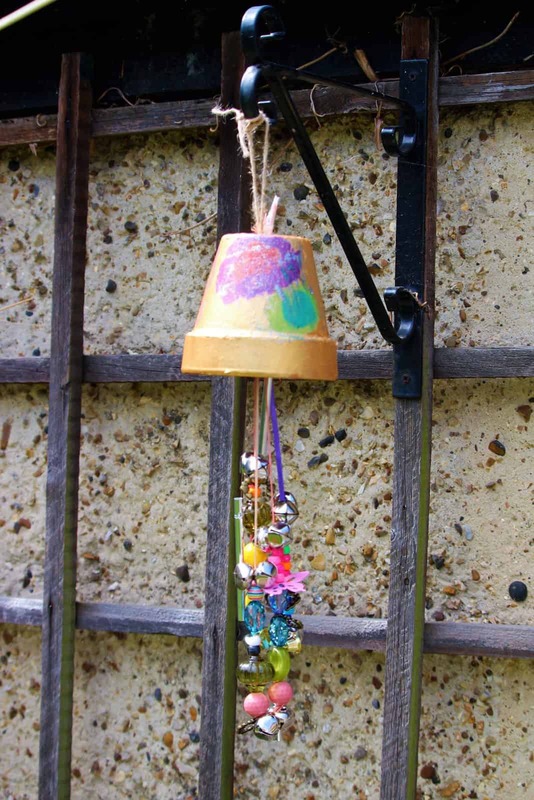 This flower pot windchime would make a fabulous homemade gift for someone who loves their garden. 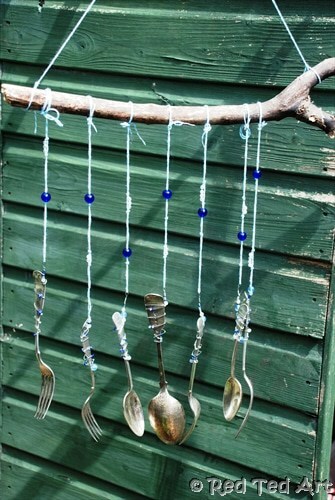 Here’s a DIY windchime with a difference, instead of using beads and bells this one uses old cutlery! Next time you’re at the flea market or the thrift store keep an eye out for some old flatware to turn into a windchime. 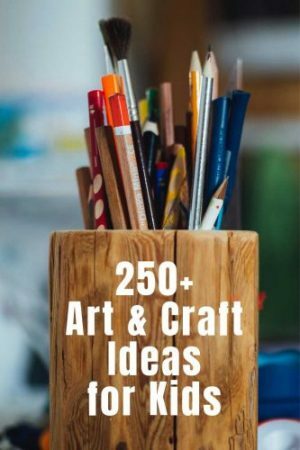 You need to use craft wire with this project so it’s best suited for older children. 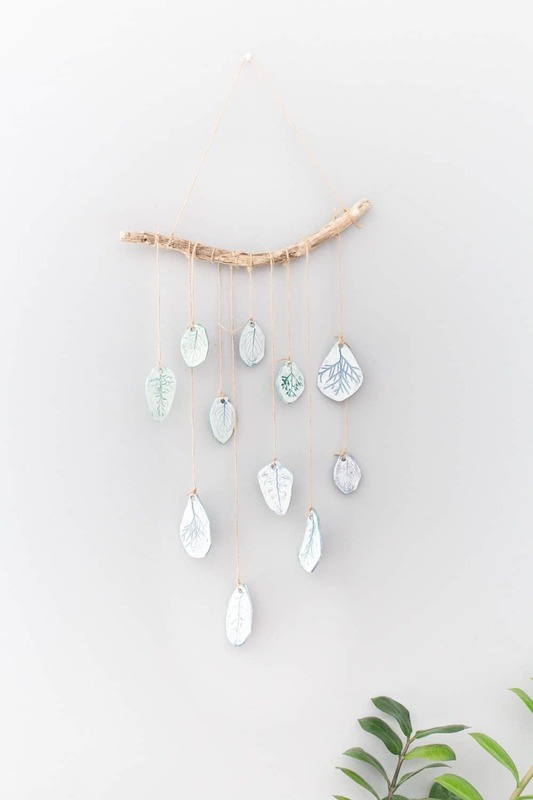 How pretty is this wind chime? And would you believe that those beautiful sun catcher discs are made from melted plastic shot glasses? 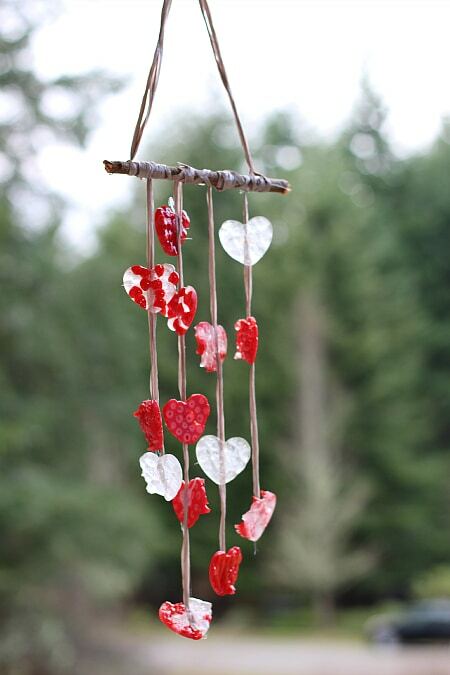 How sweet is this little windchime? Bright and colourful with some jingle bells to make music in the backyard. This one is super simple so perfect for preschoolers to practice their threading skills. 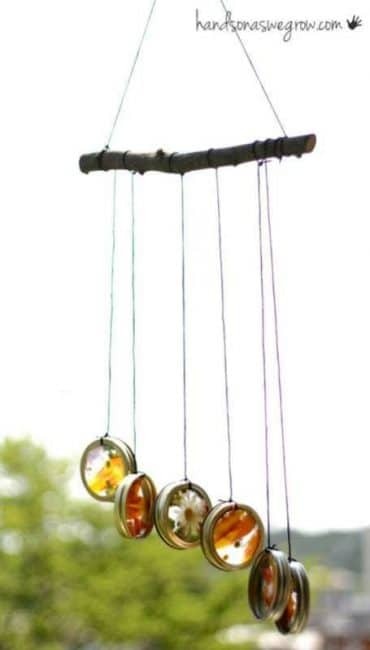 How beautiful are these wind chimes? Such a lovely way to enjoy flowers in your garden all year round! 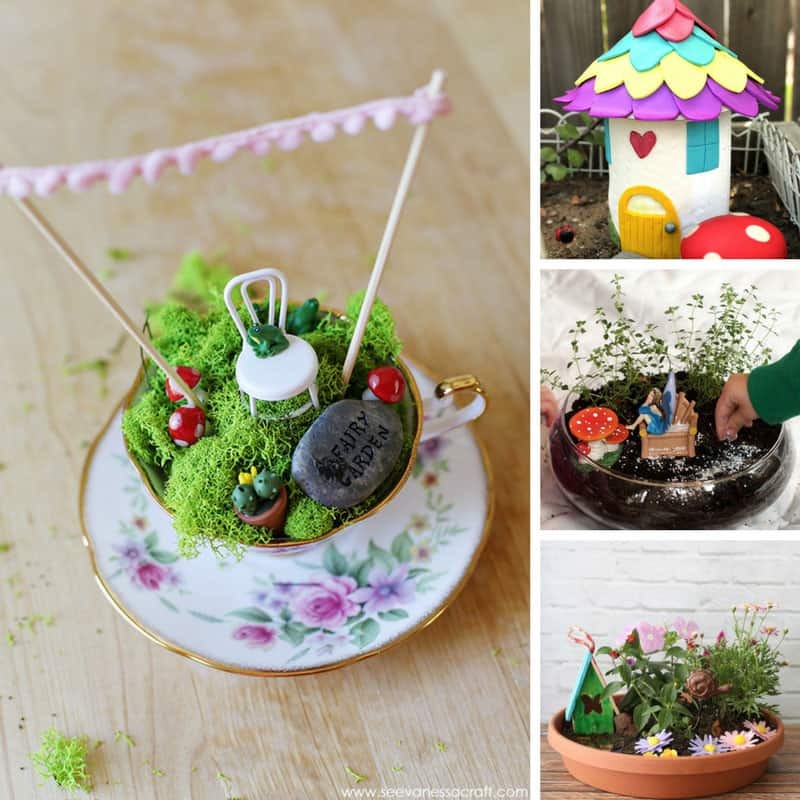 This project is perfect for kids of all ages. You can even have fun with a scavenger hunt before you get down to crafting business! 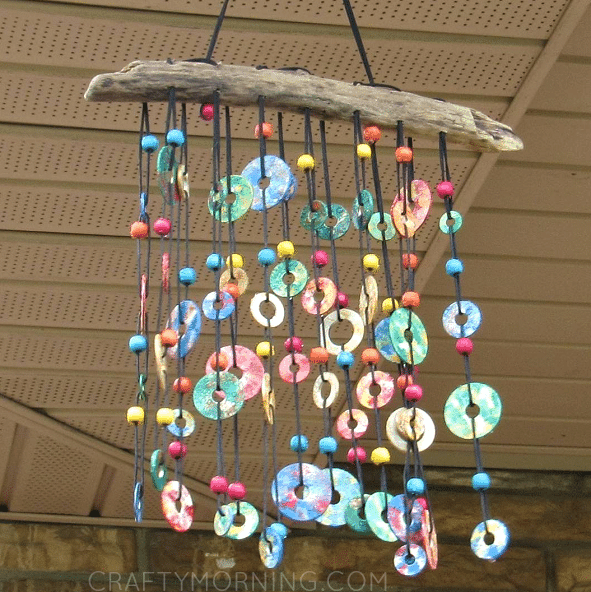 Let’s finish up this collection of Windchime crafts for kids with this gorgeous clay windchime which is one for the teens (or you) to enjoy making. It’s so pretty that it would make the perfect handmade gift for a loved one.